15 knots cruise, 18 knots maximum. 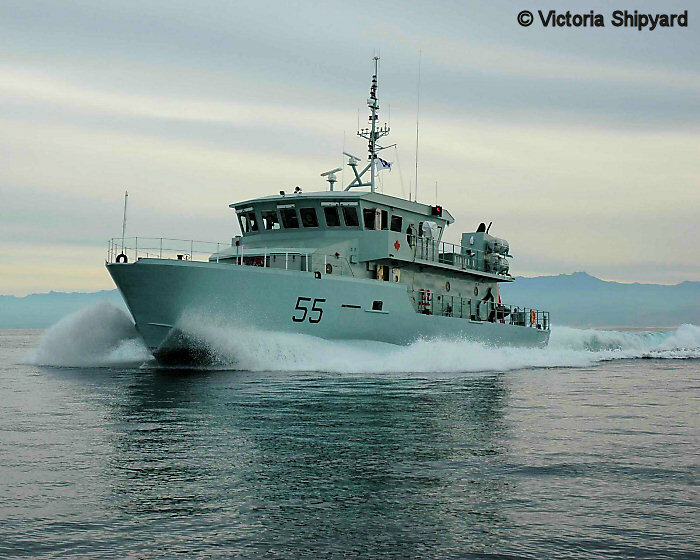 The ORCA class (PCT for Patrol Training Craft) training vessels replace the 50 year old wooden hulled YAG (Yard Auxiliary General) vessels. 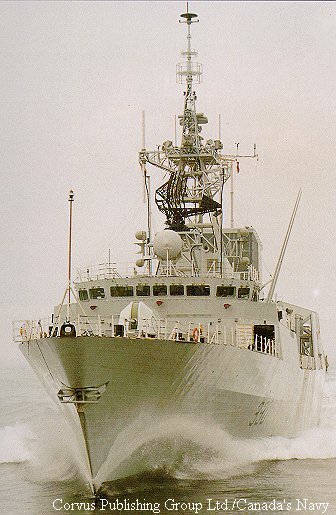 These vessels are derived from navigation training vessel built by Tenix for the Royal Australian Navy. 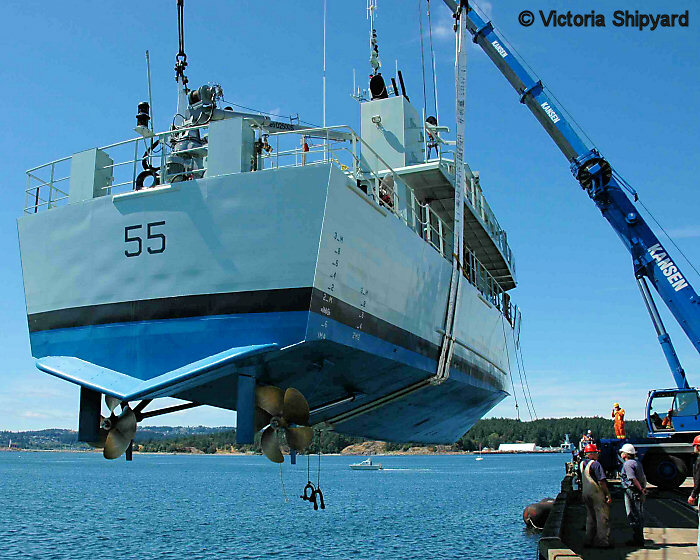 They have modern bridge facilities modelled after those found on larger Canadian Navy vessels, and they are intended to assume the burden of training from the KINGSTON and HALIFAX class ships. 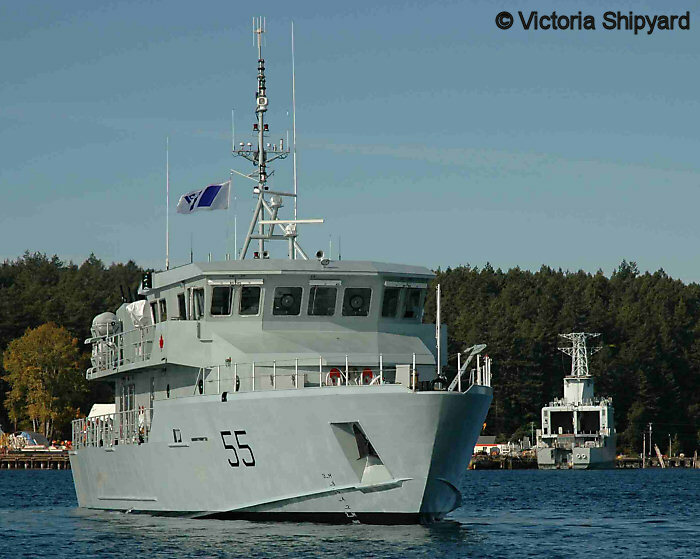 They have assumed the names of armed yachts that served in the Second World War. These craft will not be commissioned into the Navy, nor will they officially be part of the auxiliary fleet. 1. ORCA undergoing trials with HURON in the background. Victoria Shipyard photo. 2. Launching ORCA. Victoria Shipyard photo. 3. Launching ORCA. Victoria Shipyard photo. 4. ORCA at speed. 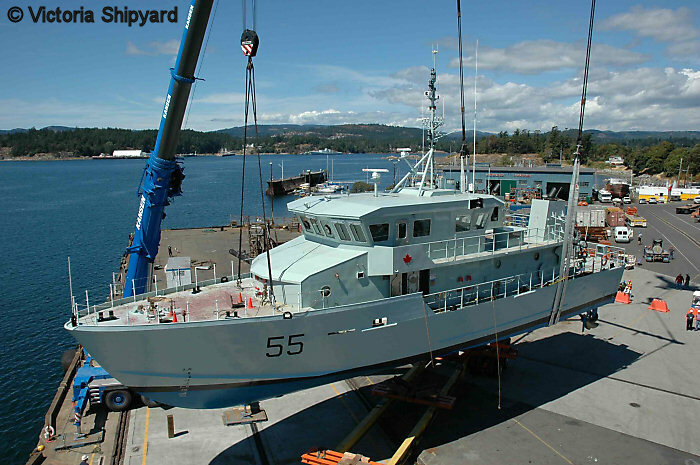 Victoria Shipyard photo. Copyright © 2006-2009, Sandy McClearn. All Rights Reserved.